Pioneer recording artist Russell Hunting went to jail for what's on this CD. 19 cylinder selections (43 tracks) from c.1892-1900 of the rarest of the rare: explicit indecent spoken-word recordings that brought down the wrath of anti-vice crusader Anthony Comstock. 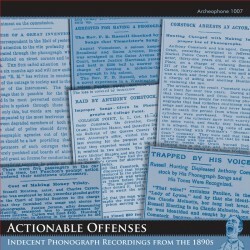 Actionable Offenses is a critical edition that places these recordings in their original social and historical context. Featuring an oversized 60-page booklet with complete transcripts of the recordings, annotations on slang and out-of-date references, and a groundbreaking historical essay by Patrick Feaster and David Giovannoni detailing the rise of indecent recordings and arrest of Hunting. 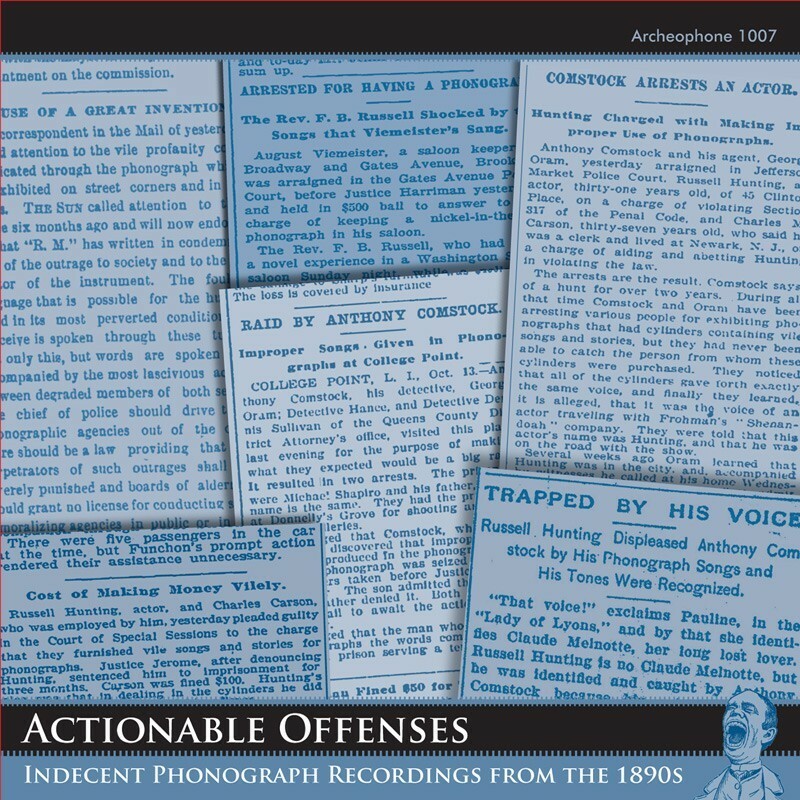 Also includes recordings by Cal Stewart, James White, and an unknown gentleman of the 1890s indulging his taste for home recordings. Visit Actionable Offenses' expanded catalogue page to see the complete track listing, read an extended description, and listen to sound samples.